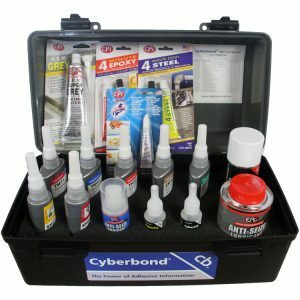 The Cyberbond MRO ( Maintenance Repair & Overhaul) Pro Kit was specially developed for people on the move. 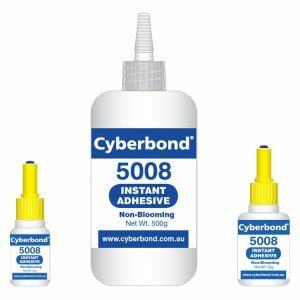 The unique Cyberbond “Pump Gels” allow for the easy transportation of these essential products without the risk of leaking and dripping. Whether it is the truckie, the farmer, the miner or the tradie the MRO Pro Kit is the ideal companion. Medium Strength Blue gel threadlocker in a self metering pump dispenser. For thread sizes to M25. High Strength Red gel threadlocker in a self metering pump dispenser. For thread sizes to M25. 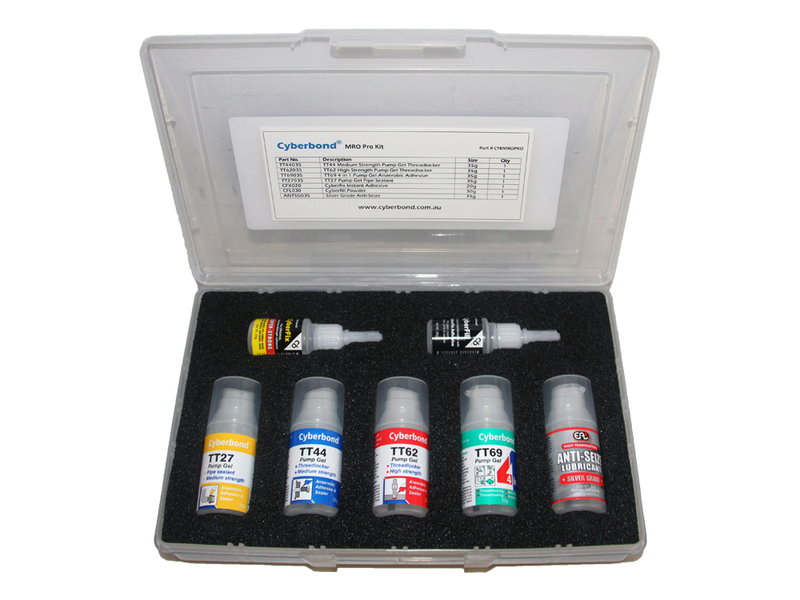 Unique thixotropic formulation for all purpose repairs. Self metering dispenser offering four individual products in one, Thread Locking, Thread Sealing, Retaining & Instant Gasket. Medium strength pipe sealant for sealing threaded metal fittings against loosening, leakage & corrosion in a self metering pump dispenser. Will bond most common materials and when used with the filling powder will fill gaps, cracks, joints & holes. 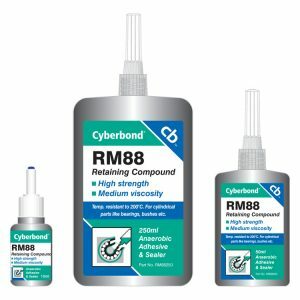 Repair almost anything. Multi-purpose, high temperature anti-seize compound. Allows easier disassembly of mating surfaces.